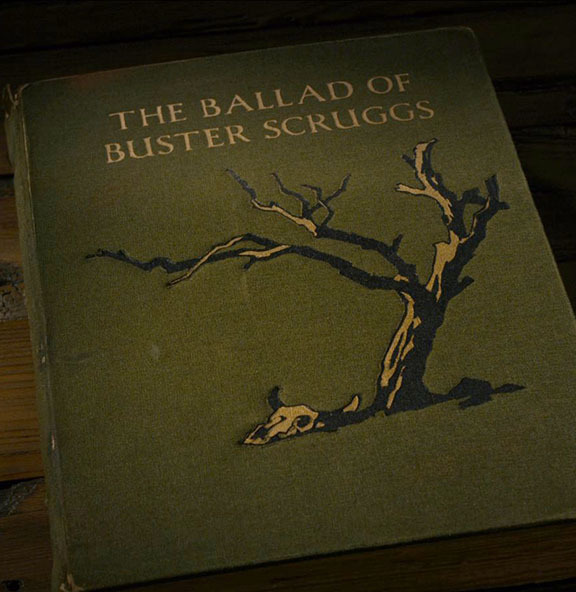 Bob Boze Bell's Big Bad Book of Bad Diary Entries: What The Hell Is Going On In That Last Segment of "Buster Scruggs"? What The Hell Is Going On In That Last Segment of "Buster Scruggs"? 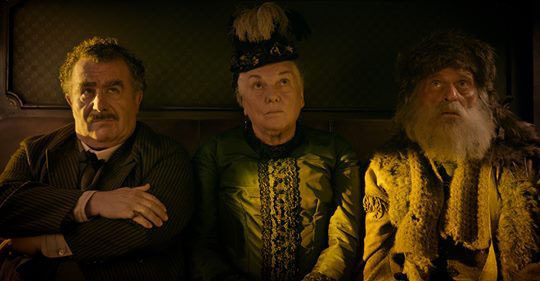 Through the six shorts in Buster Scruggs, we can see the randomness of death and the unfairness of life, but in the final installment, “The Mortal Remains”, the Coens pull the camera way back to see a trip to the afterlife as if it were a western. “Mortal Remains” is incredibly playful as it begins looking like a normal stagecoach ride that slowly reveals itself to be a trip to the afterlife for the Frenchman (Saul Rubinek), Lady (Tyne Daly), and Trapper (Chelcie Ross), whose souls are being harvested by the Englishman (Jonjo O’Neill) and the Irishman (Brendan Gleeson). It’s a parable that wants you to know it’s a parable, and while people die in all the other Buster Scruggs shorts, “Mortal Remains” is the only one where the characters are already dead. It’s pretty clear that this is what the Coens are going for. They start out with a normal Western set up—a stagecoach ride—and then slowly reveal what’s actually happening. The Stagecoach driver, clad in black, is Death (“He won’t stop,” says the Englishman), the Englishman and the Irishman admit to being “Harvesters of Souls”, and the Englishman becomes offended when they’re called “Bounty Hunters” as the Trapper tries to put them back into a context he can understand. Additionally, as the segment goes on, the lighting goes from a warm glow (life) to cold and blue (death) as the souls of the Frenchmen, Lady, and Trapper cross over. Mr. Thorpe, the body on top of the stagecoach, is also crossing over, but he’s not afforded the gentleness of the journey. Finally, when they arrive at the hotel, the Frenchman, Lady, and Trapper are nervous to enter (since it’s the waypoint in the afterlife and not a normal hotel as they originally assumed) and on the inside there’s a stairway going up to a bright, unseen light.